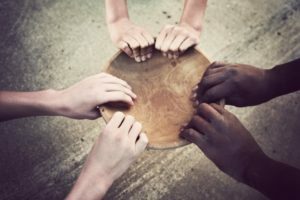 Estimates on the number of South Africans going hungry every day run into the millions according to various sources, including Statistics SA (Stats SA), researchers and organisations working to fight hunger. This is despite producing enough staple foods as well as having the capacity to import food if needed, to meet the basic nutritional requirements of its growing population. This alarming dichotomy suggests a breakdown in collective efforts to strengthen food security and fight hunger, two activities which should not be mutually exclusive. The right to food is enshrined in both international and national law. At the macro level, South Africa’s commitment to achieving the Sustainable Development Goals includes meeting targets to ensure that hunger is eradicated and good health and well-being are prioritised by 2030. Regionally, similar commitments have been made through Nepad’s Comprehensive Africa Agriculture Development Programme and the SADC’s Regional Agricultural Policy. Domestically, the issue of food security was elevated post-1994, with the right to access to sufficient food being enshrined in Section 26 and 27 of the Constitution. The Constitution is clear that every South African citizen has a right to sufficient food. This idea is reiterated in the National Development Plan (NDP) and is meant to be operationalised by the work being done throughout government and within the agricultural, manufacturing and retail sectors.